The monarch butterflies are in serious trouble. If you were like many in 2013, you didn’t need to look further than your butterfly garden to realize the monarch population is in a dangerous decline. 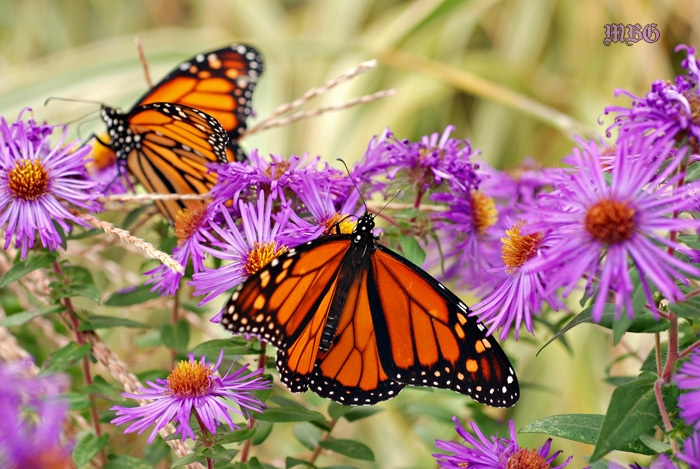 While 2013 may have been one of the worst years for monarchs on record, North America’s interest in helping them recover is at an all time high. It was recently reported in the Conservation Letters Journal that those in the US were likely to contribute more than 4 billion dollars to help bring back the monarchs. Don’t worry, I’m not here to suggest writing out a heavy-handed check with a train of zeros behind the first number. I’m here to discuss more viable options we have as gardeners and monarch enthusiasts. The North American monarch population has been in serious decline over the past decade. Most of us are familiar with the usual suspects for this alarming decline: habitat destruction, pollinator-killing pesticides, and extreme weather conditions, etc. Weather control is not an option and stopping others’ pesticide use (barring national legislation) is often futile. Until there is irrefutable proof that pesticides are killing off pollinators, farmers will choose the needs of their families and businesses over the needs of milkweed butterflies. What would you do in their position? Native milkweed is the cornerstone of a successful monarch butterfly garden. Native plants usually attract more local wildlife than their less familiar counterparts. They also are likelier to thrive without as much assistance from you. Many of the more popular non-native milkweeds are only perennials for warmer climates. This means they will require more tending than the natives. However, the rewards can be astonishing if you accept this milkweed challenge. We have about 10 milkweed varieties (both native and non-native) in our yard and they all get used at various times during the season. The benefits of adding a non-native milkweed like asclepias curassavica, are that it blooms all summer and the leaves stay viable until first frost. This means you’re less likely to have milkweed emergencies! Native nectar flowers usually attract a wider variety of pollinators but this is not always the case. Like native milkweed, they require less care and are more reliable from season to season. Some of the monarchs’ favorite nectar flowers are not native to North America. Butterfly bush, Mexican sunflowers, Verbena bonariensis, and zinnias are huge draws for monarchs, hummingbirds, and countless other pollinators across much of the US and parts of Canada. Many tropicals/annuals require deadheading for best results, but they are well worth the effort if you want serious butterfly garden results. 5. Buy plants from nurseries that have their own greenhouses and can guarantee no pesticides have been sprayed on your plants. At this point in time, buying plants from big box stores is a gamble. 6. Don’t limit yourself to local resources. There are lots of reputable nurseries that will have exactly what you’re looking for online. Again, research to find out if they grow organically. We buy most of our plants at local plant sales or nurseries. However, when local resources can’t provide you with exactly what you want, someone online usually can. Check out these milkweed seed resources. Could you find all those species at your local nursery? 7. Start seeds. This insures no pesticides have been used to grow your plants. Seeds can be sowed directly in fall, winter, or spring, depending on the particular plant. Others can be winter sowed or started indoors. 9. Inspire others to get Involved– Do you have extra garden seeds or plants? Do you have too many caterpillars to raise by yourself? See if your neighbors or local schools might be interested in giving the monarchs a helping hand. 10. 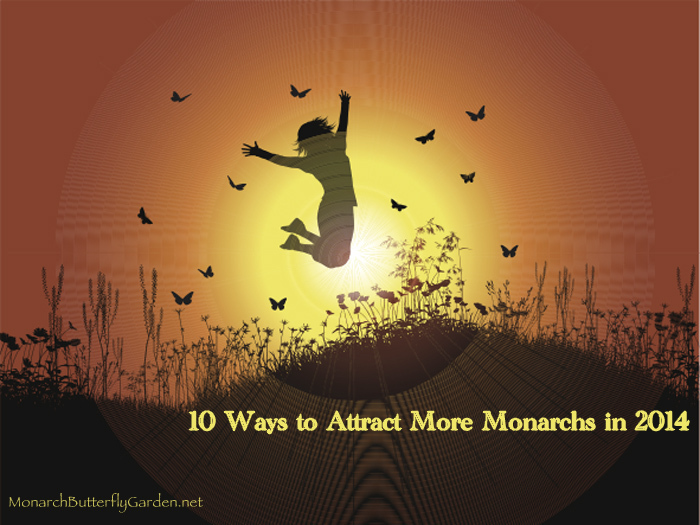 What if you’re still not seeing any monarchs?– Drastic times call for thinking out-of-the-garden. Last fall, I ordered some monarch eggs from Rose Franklin. I was pleased to find the eggs securely packed upon arrival and I raised five healthy monarchs from her butterfly farm. I’d much rather entice monarchs by growing a magnificent milkweed patch, but butterfly farms are always an option if the monarchs are scarce in your region.